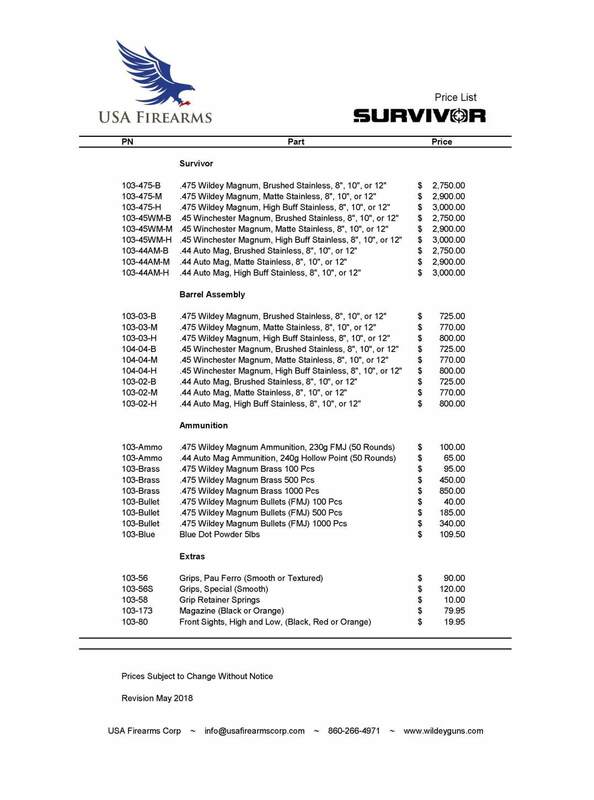 Survivor handgun and accessories price list. Contact us to order barrel assemblies or accessories. Use the order form to order a pistol. Click on the photo to download.